This tutorial can be carried out, at Abu Dhabi Pottery, for students of all ages and backgrounds and can be adapted to suit the age of participants, starting from 5 years old to A level and university students and other interested groups of adults. During the lecture students can make a pinch pot of their own which can be taken home or can be left at the pottery to be bisque fired and collected at a later date (Please allow 4 – 6 weeks before collection). They will also be shown around the pottery (kilns and pug mill) and will be able to see a demonstration on the various techniques of pottery. 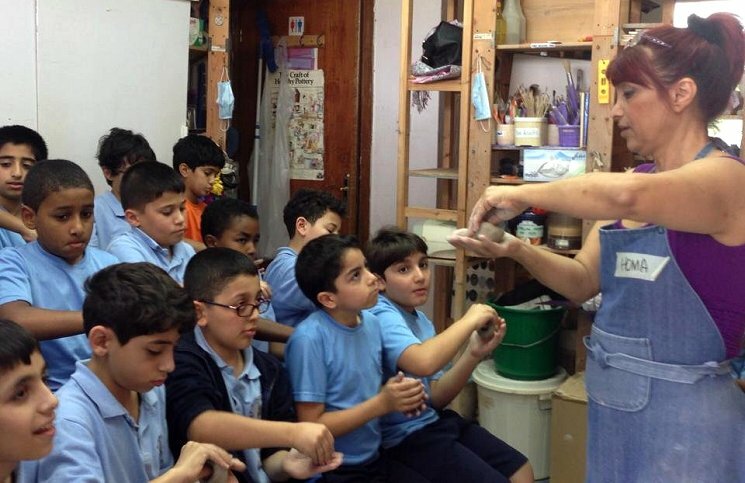 In addition to school / group visits hosted at the Pottery, demonstrations of pottery techniques can be arranged in schools and colleges. Please call: 0505581584 or email.